Cloudy day would decorate your bathroom in a unique and fun way. This is a toilet paper holder and storage, arranging them as a cloud floating conveniently on the bathroom wall. 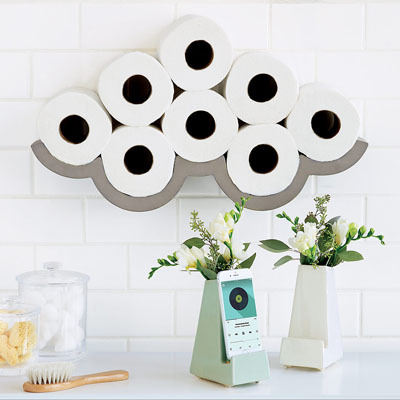 It’s a nice way to keep your bathroom stocked, whether it’s a rainy or shiny day, this wall mounted toilet paper cloud would look cool in your contemporary bathroom. It comes completely with the hardware that you need to install Cloudy Day, it can hold around 8 to 10 rolls of tissue. Designed by Bertrand Jayr, a French Designer who enjoys making objects talk, this product certainly offers visual puns, it can be a storage solution and at the same time, it can be an imaginative wall art. CLICK HERE to checkout the price of this unique wall storage. Give a natural touch to any room with this unique Honey Can Do Wicker Corner Hamper. Featuring a woven wicker design, it’ll look good in any room, perfect for empty corner that usually isn’t used. 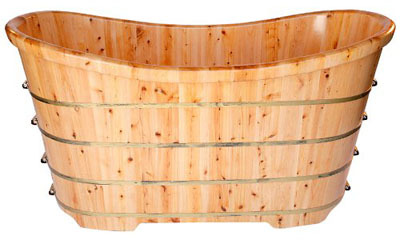 Place this in the bathroom, it’s a nice hamper to keep dirty laundry, making organizing and carrying laundry easier. This hamper comes with removable canvas liner, adding a nice touch to the overall appearance. When you want stylish and high quality hamper with affordable price, you can’t go wrong with this one. 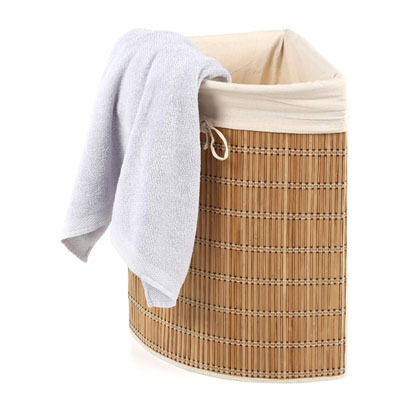 No more clothes on the floor, just throw dirty clothes in this bamboo hamper. It can accommodate multiple loads of laundry since the hamper is manufactured from a moisture resistant material. Sleek and curvy, KOHLER K-T45110-4-CP Alteo Valve Trim (the valve is not included) would add an elegant touch to your bathroom. Inspired by nature, this valve trim is intended for use with Rite-Temp or HiFlow Rite-Temp valves and with its premium construction, this valve trim guarantees durability and reliability. It resists tarnishing and corrosion even exceeding industry durability standards for more than two times. We really love that sleek curves, offering an elegant simplicity that matches any contemporary and modern bathroom. You can coordinate this valve trim with other Alteo Faucets and accessories. One thing we need to mention though, this product is not full meal, only the handle is metal but the trim is plastic, yet it is very durable. The overall dimensions are 4.5625-inch (H) x 6.4375-inch (W) x 6.4375-inch (D). sleek and stylish, guests would complement how nice it looks. 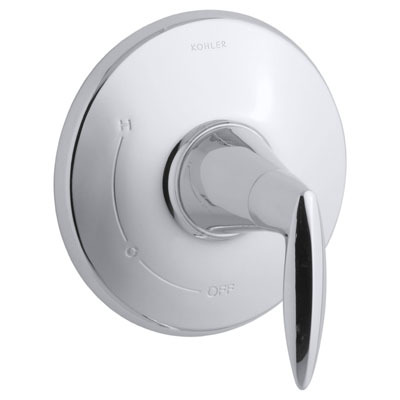 Click Here to get more details about Kohler K-T45110-4-CP Valve Trim, it would also complete your other Alteo bathroom accessories. Running out of space? Why not use the corner area? 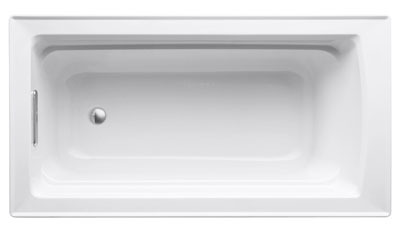 This Barclay 4-745WH Universal Petite Vitreous China Wall-Hung Corner Basin would fit perfectly on your unused corner area. When you have a small bathroom, placing a washbasin would be difficult, you would need something that doesn’t leave a large footprint. 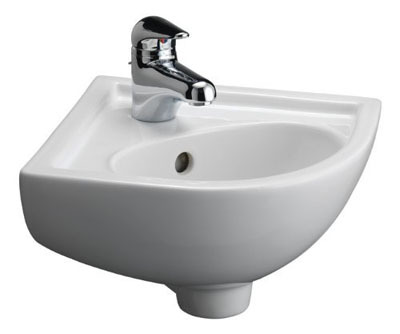 This corner basin is perfect, you can still use the floor space underneath, the size is big enough to wash your hands yet still compact enough to safe you some space. Its petite size has become a great attraction for people who own small bathroom. Most American bathrooms don’t have a bidet installed, but once you use this bathroom fixture, you just can’t go back with just a toilet paper to clean your bottom. 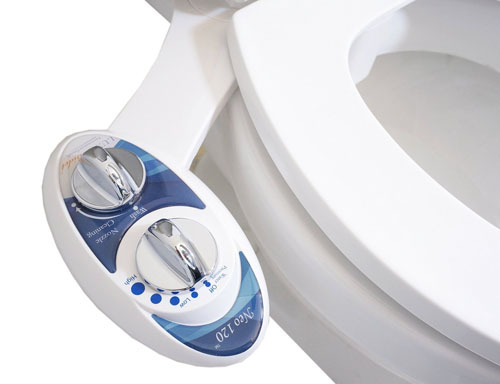 Luxe Bidet Neo 120 offers an easy installation to your existing toilet, it’s a bidet attachment with modern, sleek design. 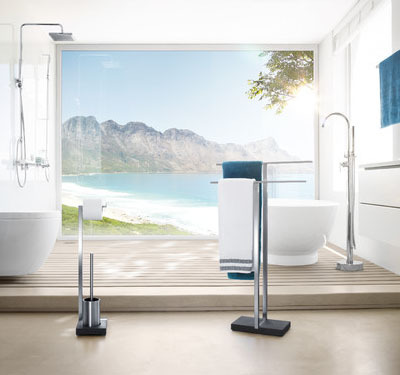 You can upgrade your bathroom to increase the comfort of cleaning yourself, the quality parts have been built to last. This unit has been beautifully designed with chrome-pleated water pressure control knobs, it also comes with braided steel hoses, not plastic. Everyone can do the installation, it includes everything you unit to get your bidet up and running in just minutes. You can attach/detach it from any standard two-piece toilet, the self-cleaning nozzle offers added convenience, it retracts when not in use for optimum sanitary protection. If you are asking above question, you probably plan to purchase a new faucet, whether it be for your kitchen or bathroom, each one has its own pros and cons. In this article, we’d like to give you useful information between single and two handle faucet to arm you with well-informed buying decision. If you don’t really care about the type of faucet you’re going to install, choosing one would be extremely easy, just pick standard, most used faucet on the market. However, making the wrong choice can haunt you. 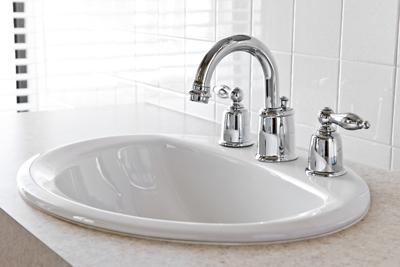 Making a choice between one or two handle faucet can also determine by the size of your wash basin. If you install small wash basin, there might not be enough space for two handle faucet, especially when you live in small apartment, we highly recommend that you go with single handle one. However, to some, kitchen fittings can also be about style, they can still choose to use two handle faucet regardless the space. When you should use two handle faucet? Well, two handle faucets definitely offer better control to adjust water temperature. Most people are fuzzy about the perfect temperature and flow control, this is where two handle faucet would come in handy. The other benefit would be in the event of a leak, you can simply turn off the valve of leaking handle while still have access to use water from the other working handle. This type of faucet is the best option when you need to have access to both hot and cold water, especially when you live in the area that experiences both cold and hot weather. This faucet can also bring a nice element of style, it looks more elegant and inviting, especially when you choose bronze theme for your kitchen or bathroom décor, it can bring classic, old world atmosphere. What about the cons, well, installing two handle faucets can be more complicated. You need to create 3 holes for installation in the countertop. When you should go with single handle faucet?